Fortunately, technology has caught up and today there are technologies that allow hospitals to do some kind of automated or electronic monitoring to give them more accurate and better data regarding hand washing, says Heather McLarney, vice president of marketing for DebMed, a division of DEB Group, Charlotte, N.C.
Distributors can offer clients a variety of tools to monitor hand hygiene in healthcare settings. Beyond direct observation with a clipboard, paper and pen, they can encourage hospitals to add software that can be used on a tablet device, which standardizes record keeping and compliance reporting. Or distributors might encourage clients to add a group monitoring application. These automated data collection systems monitor traffic in-and-out of an area 24/7, as well as the actual dispensing of soap or hand sanitizer to calculate hand washing rates. These systems use sensors to anticipate a dispensing event when an individual enters and leaves an area, and uses the entry or exits that occur to determine the number of dispensing activities that should happen during a shift. Those numbers are then compared against actual dispensing events to develop a compliance rate, which are gathered from wireless sensors inside the soap or hand sanitizer dispenser. These units collect specific data. For example, it’s possible to see how many times Dispenser No. 123, on the fourth floor, in Room 101 was used by the 10 members of the staff. “This data is then compared to a specialized algorithm that predicts how many times employees should have cleaned their hands,” says McLarney. Typically that number is based on the WHO’s Five Moments of Hand Hygiene approach, which defines the key moments when healthcare workers should perform hand hygiene. This includes before touching a patient, before clean or aseptic procedures, after body fluid exposure or risk, after touching a patient, and after touching patient surroundings. This approach, combined with the data collected, allows an infection control manager to calculate an accurate compliance rate and see if improvement is needed. Another option includes real time locating systems, or RTLS monitoring. This technology monitors an individual’s hand washing activities to give infection control managers individualized data to help foster a culture of safety and accountability. 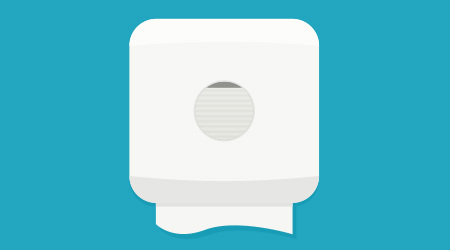 With these systems, healthcare workers wear a badge or a bracelet with RTLS tracking technology that can be read by a soap or sanitizer dispenser to monitor an employee’s hand washing habits. The units provide infection control managers with data that allows them to pinpoint problem areas and report compliance by unit or by an individual, in real time. None of this technology is cheap, and clients may balk at the price. But Lori Huffman, senior marketing manager at STOKO Professional Skin Care, Greensboro, N.C., says it’s worth the capital expense in some industries. “In foodservice or healthcare, this investment is well worth it if it prevents a loss of life or a lawsuit,” she says.